Socially committed and competent Bolivian employees of different social and ethnic backgrounds form the local team, which every day carries out the planning and implementation of the Fundación Pueblo’s projects. It is supplemented by volunteers and interns from Europe in temporary assignments who emphasise and keep alive the multicultural and cosmopolitan character of the Foundation. The board has entrusted Günther Schulz-Heiss with the operational management of the foundation, which as a founding member he carries out unsalaried. 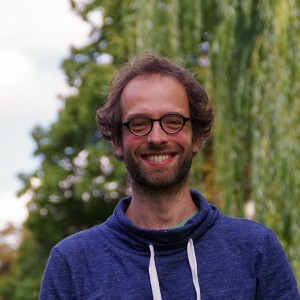 Besides his passion he can also bring many years of experience as a consultant in international development projects and institutions working concretely at the community level. Günther Schulz-Heiss is responsible for the overall planning and reporting of the Foundation and is instrumental in the strategic development and the agreements with partners inside and outside of Bolivia. He directs and supervises those working in the projects, who in recent years have taken a great deal of responsibility implementing the projects. 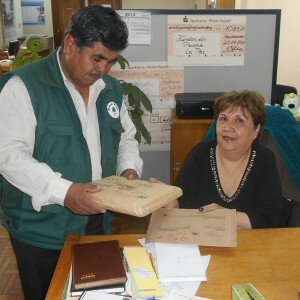 Nirza Gómez is responsible for the financial management of the Foundation in Bolivia and meticulously performs the bookkeepings. She has earned the respect of local employees and the trust of the Foundation management and our partners through her long-standing and tireless commitment. 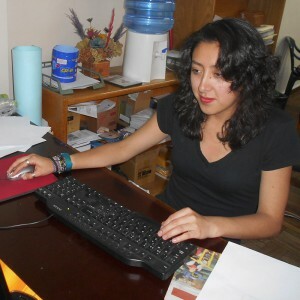 Francisco Nina, who knows La Paz inside out, supports her with the incessant errands and administrative procedures. In Yanacachi she can rely on Jaime González for the maintenance of the Foundation’s houses. Kheni Patón guides our civics project “Acceso Público” in the Yungas. The young political scientist from the University of La Paz is supported locally by Karina García, who based in the village service office in Yanacachi is there for the neighbours and who ensures daily contact with the country radio program ‘Radio Yungas’. 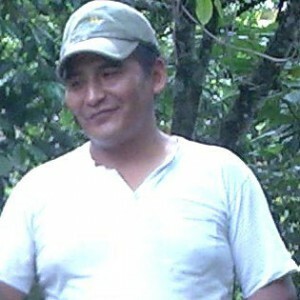 Oscar García as a country radio reporter in Yanachachi is the most listened to member of the team in our home county. Lukas Egger from Austria was a most welcome support to the team during his foreign civil year of service. Javier Benítez leads our program for school access and local economic development. In contact with partner organisations and volunteers he can contribute to his extensive experience in German development service. 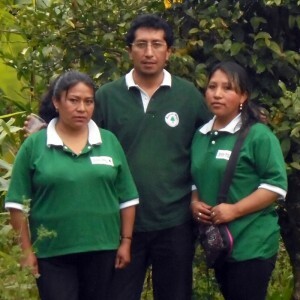 In the north of Potosí he is supported by Teo Pastor, who maintains the daily contact with the county offices. As a trained agronomist and civil engineer Teo Pastor evolved the student board project into community development. 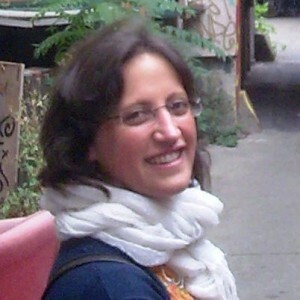 These projects have been heavily promoted by Franziska Stahl from the Rhineland during an extended voluntary year. In the two student Inns in the midpoint villages of Uyuni and Capunita, our local coordinators Lavinia Chuca and Isabel Manzano are the interfaces between students, teachers and community leaders. 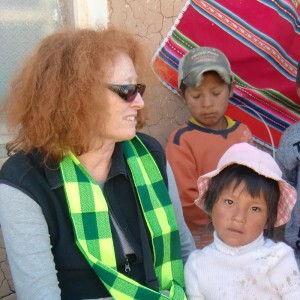 Filomena Hilari is responsible for the Foundation Pueblo’s ‘house of the future’ in El Alto. 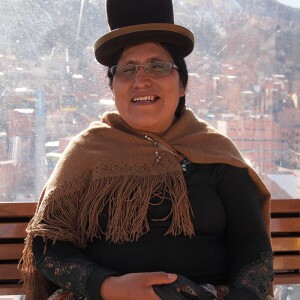 She has looked after the girls and young women from the countryside who could come to La Paz and obtain a qualification through vocational training, and helps in the design of the hostel as a meeting and training center. Andrea Herrera, who comes from the woman’s movement, has taken over the organisation of training courses and lectures, with which we encourage the participation of migrants from the countryside in El Alto. Hernán Sarmiento took over the leadership of our new Office in Tarija. From here, he carries information about the “student board in host family” project to the rural districts of the department. He uses his academic background and his experiences learnt from the ‘Acceso Público’ program in providing information and with efforts at persuasion in the counties and municipalities of Tarija. 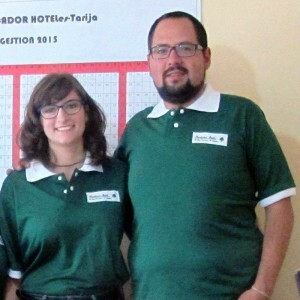 Maëlis Pouzet from France carried out an important jumpstart to our new office in Tarija in her year as a volunteer. This work is now continued by Duygu Düzyar, from Cologne. As a local coordinator of the first “student board in host families’” in Tarija, Marlene Morales is based at the center school of San Luis de Palqui. Always ‘Virtually’ on the spot: Christof Mauersberger, who since his time as a volunteer in Bolivia in 2003 has from changing locations taken care of and maintained an internet presence for Fundación Pubelo; Valeria Ossio, has maintained a bridge from Europe to her native Bolivia with her help with the graphic design of our information material; and Sabine Seybold, whose agency in the Palatinate is a contact agency for volunteers and the Foundation.